This book presents a new framework for understanding the relationship between biblical narrative and rabbinic law. 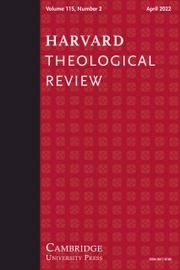 Drawing on legal theory and models of rabbinic exegesis, Jane L. Kanarek argues for the centrality of biblical narrative in the formation of rabbinic law. 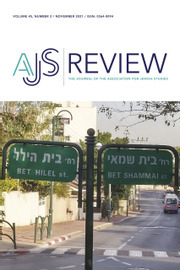 Through close readings of selected Talmudic and midrashic texts, Kanarek demonstrates that rabbinic legal readings of narrative scripture are best understood through the framework of a referential exegetical web. She shows that law should be viewed as both prescriptive of normative behavior and as a meaning-making enterprise. 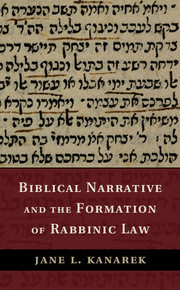 By explicating the hermeneutical processes through which biblical narratives become resources for legal norms, this book transforms our understanding of the relationship of law and narrative as well as the ways in which scripture becomes a rabbinic document that conveys legal authority and meaning. 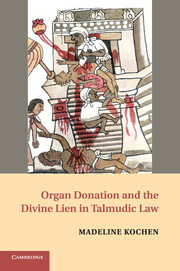 "This book is a valuable contribution to our understanding of the rabbis as legal readers of the Bible. Kanarek’s masterful and astute analysis of the ways in which the rabbis derived laws from the stories of Genesis lucidly demonstrates the intertwined relationship between law and narrative. She sheds light on how narrative gives meaning and authority to law, and at the same time how law is a meaning-making enterprise." "Jane Kanarek has produced an excellent treatment of the dynamic relationship between law and narrative, exemplified through the creative interplay of Scripture and Rabbinic exegesis. This is a model analysis - of much value to all students of this vital cultural phenomenon." "Jane L. Kanarek’s book is timely and important. Starting with some known paths in contemporary rabbinic scholarship - the rabbinic use of biblical material, rabbinic law and narrative, and contemporary legal theory - Kanarek blazes a new trail. 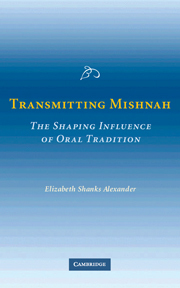 She masterfully shows how rabbinic exegesis creates a larger "referential web" of meaning by linking biblical verses and passages that appear unconnected. These referential webs are key to integrating law into biblical narratives. Kanarek’s analyses of these referential webs enrich our understanding of how law for the rabbis is about the creation of meaning, and the book newly illuminates the relationship among rabbinic law, narrative, and scriptural exegesis." "That the narratives of the Hebrew Bible gave rise to later rabbinic law seems counterintuitive. Yet through close reading and painstaking exegesis of the book of Genesis and the subsequent literature of the rabbis, Jane Kanarek provides keen new insights into the rabbis’ midrashic legal traditions. 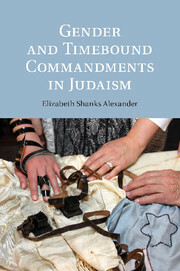 She demonstrates the manifold ways in which the rabbis’ legal traditions shed light on their reading of biblical narrative. Kanarek also limns the distinctions between the Palestinian and Babylonian rabbinic approaches to the relationship of their law to the stories of scripture. She sets rabbinic halakhah within the broader arena of studies on Nomos and Narrative. As Kanarek so astutely observes, "through rabbinic reading, all of scripture - including narrative scripture - becomes a potential resource for rabbinic law". A bravura performance." Jane L. Kanarek is Assistant Professor of Rabbinics at Hebrew College. Her work has been published in AJS Review, Teaching Theology and Religion, the Journal of Jewish Education, and Sh'ma Journal: A Journal of Jewish Ideas. She is on the editorial board of Teaching Theology and Religion and a member of the Committee on Jewish Law and Standards of the Rabbinical Assembly. She earned her PhD from the University of Chicago, her MA from the Jewish Theological Seminary, and her AB from Brown University. She received a Wexner Graduate Fellowship.